Over 150 people sported their nicest outfits on Saturday night for a new type of party on campus. 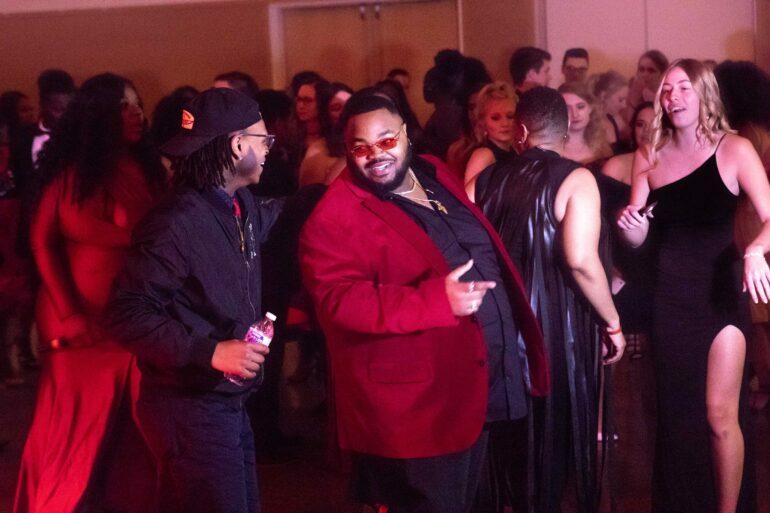 The First Annual Ruby Ball, organized by the Union of African American Students (UAAS), gave students and faculty an evening of music, dancing and food in the MUC Ballroom. Marcus Destin, president of UAAS, said the Ruby Ball was their attempt to bring unity to campus through a high-energy and gala-like event. The Ruby Ball featured three performers: Soleil, Arlinda Peacock and Destin himself. Ashley Charlie, one of the emcees for the event and co-logistics chair, said the Ruby Ball gave those outside of Greek Life their own type of “formal,” an opportunity to break out their heels and ties for a nice meal and dancing. At the Ruby Ball, Destin presented five U.N.I.T.Y awards to students and faculty members. Charlie was given the Unique award; Anna Andrews, UAAS vice president, was given the Nobility award; Kim Moore, a program assistant for Student Services, received the Integrity award; Layani Makwinja, an advisor for UAAS, was awarded the Tenacious award; and Mimi Sellers, the senior secretary for the Muenster University Center, was given the Youthful award. “The meaning (of the awards) is to acknowledge and honor individuals across campus and within our organization for outstanding work and reflecting the spirit of The Union of African American Students,” Destin said. Throughout the planning of the Ruby Ball, Destin said Dakotathon, the Center for Diversity and Community (CDC) and Student Services helped pay for the event and made sure there were volunteers. “It’s been hectic, but it’s very much so worth it,” Destin said. Both Destin and Charlie said they hope to host the Ruby Ball again next year.